Nestled in a wooded mountain valley in Austria’s Salzkammergut region, Gosausee Lake was once called “the eye of God” by renowned world traveler and writer Alexander Freiherr von Humbolt—and for good reason. 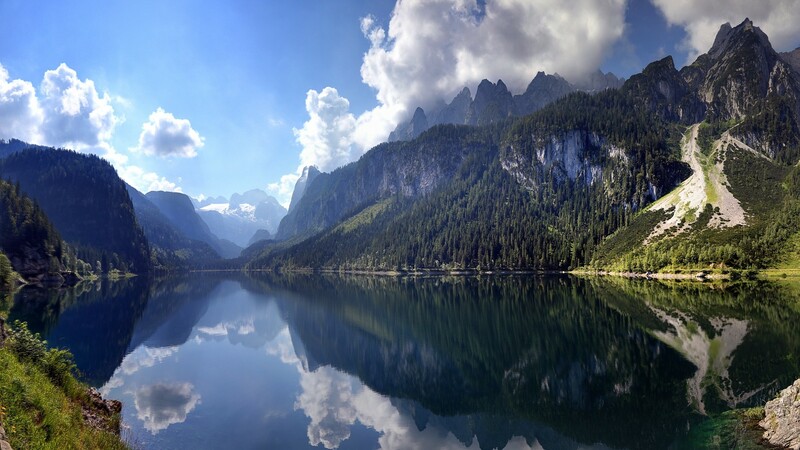 When the lake is calm, the crystal-clear water provides breathtaking reflections of the surrounding foothills and the towering Dachstein Mountains. Since Gosau is usually quite chilly, swimming is not popular, but the water is pure and drinkable, and its clarity often attracts divers. A tourist-friendly hiking trail borders the lake, providing sightseers with educational opportunities and immersion into Gosau Valley’s natural paradise.